Are you worried that your home is haunted? Are you hearing strange noises or do objects move of their own accord? Do feel like you are being watched? The spirit world is a very active and varied world… in fact we are surrounded by all types of spirits all the time. But such paranormal activity only becomes a problem when it occurs in your home and makes you feel uncomfortable. I am a firm believer in keeping my territory, especially my home and property, clear of any unwanted and unwelcome spirits or ghosts. After all it is your home. This is supposed to be your haven and your safe place, right? For the purposes of this article, a ghost is a disembodied spirit that used to be a physical person or animal on Earth. There are other types of spirits, but let’s focus on the ghosts of humans and animals that have passed over for now. 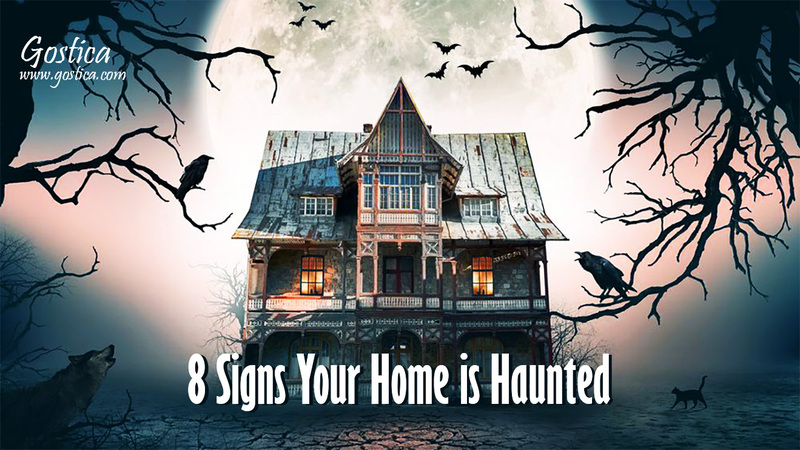 Now, here are eight signs that your home is haunted. Yes, I know, sometimes you misplace keys, but I am talking about objects constantly go missing or seem to end up a different place then you placed them. If an object moved in front of you, like a rocking chair, then it’s definitely a spirit or ghost! When you are home alone, do you hear footsteps on another floor or going up or down your stairway? Are doors opening and closing? Do you hear laughter or voices that can’t be explained? This activity could be explained by a ghost – or several ghosts. Do have cold or hot spots in your home? Have you ever walked on a rug and put your foot in a cold spot? That could be a ghost. Ghosts use the energy around them to appear, move objects or anything else to get your attention. This energy can feel cold or warm. Do you have a room in your home that you don’t like? Or do you feel angry when you enter a room for no reason? That feeling may not be coming from you; it could be the feeling of a ghost. This is a very common sensation for someone to feel when they are being haunted. It’s very alarming to be alone in a room and not feel like it. Just like you can tell when someone is staring at you even if you are not looking at them, the same applies when a ghost is watching you. Children are innocent and see spirit readily, especially under the age of 5 years old. Not all imaginary friends are ghosts; they could be a spirit guide, angel or fairy for example. But it could be a ghost too. If someone committed suicide or was murdered in a home or near your property, there’s a good chance that the people involved are still in and around the home and now haunting the home. If you are located near a cemetery, battlefield or burial ground, you are going to have wayward ghosts.